Spending Easter on Oahu? Check Here First! On the mainland, lots of folks are still donning their winter clothes come Easter — but not here in paradise! Easter on Oahu is THE place to be when our favorite bunny comes to town. Check-out our list of places for Easter Bunny photo ops and our run-down of the local Easter Egg Hunts, thanks to the Honolulu Star Advertiser. Your family will send you a big “mahalo” for knowing where to go! Kahala Mall: Next to Macy’s. Hours are 10 a.m. to 7 p.m. through April 7, 10 a.m. to 8 p.m. April 8-15 and 10 a.m. to 6 p.m. Sundays; Easter Bunny takes a break from 2 to 3 p.m. Photo packages begin at $25, with free Jelly Belly candy courtesy of Carousel Candyland. (You can also meet the Smurfs from 2 to 3 p.m. April 8 near the Easter photo garden. Free coloring book). Kahala Mall always has seasonal shows and will host the Easter Bunny this spring. Pearlridge Center: Through April 15, Uptown. Hours are 10 a.m. to 8 p.m. Mondays through Saturdays and 10 a.m. to 6 p.m. Sundays; Bunny takes a break from 2 to 3 p.m.
Royal Hawaiian Center: 2201 Kalakaua Ave. On April 8 and 15, “Auntie Lele” roams the center’s A Building from 1:30 to 2:30 p.m. before heading to Helumoa Hale Guest Services next to the Royal Grove for picture-taking from 3 to 5 p.m. (11 a.m. to 5 p.m. Easter Sunday with break from 2 to 3 p.m.). Island Pacific Academy: April 1, 909 Haumea St., Kapolei; registration begins 9:30 a.m., egg hunt at 10 a.m. with three age groups for keiki up to grade 5. Kapolei Commons’ Easter Egg Hunt: 9 a.m. to noon April 8 on the grassy lawn at mall entrance, 4450 Kapolei Parkway; registration starts 8:30 a.m., egg hunt at 9 a.m. for 2-year-olds, 9:30 a.m. for ages 3 to 4, 10 a.m. for ages 5 and 6, 10:30 a.m. for ages 7 and 8, 11 a.m. for ages 9 and 10. Limited to 250 keiki per age group. Diamond Head Complex: 10 to 11 a.m. April 8, Kaimuki Community Park; registration at 9:30 a.m. For ages 3 to 12, with prizes and game booths. Halawa Complex: 10 a.m. April 9, Halawa District Park, 99-795 Iwaiwa St., with four age groups up to age 12; first 250 participants receive a goody bag. Bay View Golf Park: April 15, 45-285 Kaneohe Bay Drive. Held in conjunction with Bay View Spring Fest, 10 a.m. to 1 p.m. Hosted by Windward Church of the Nazarene. Gunstock Ranch: 10 a.m. April 15, 56-250 Kamehameha Highway, Laie. Wet ’n’ Wild Hawaii: 9:30 to 10:30 a.m. April 16, 400 Farrington Highway; registration at 9 a.m. Age categories for ages 12 and under; the first 100 keiki receive a free gift. Free with paid admission. (Discounted admission of $19.99 on Easter Sunday (April 16); download coupon at wetnwildhawaii.com. Admission includes egg hunt, and water rides and attractions after 10:30 a.m.). Spring Fling: Choose from two workshops April 8, 9 to 10:30 a.m. or 10:30 a.m. to noon, Children’s Discovery Center, 111 Ohe St., Kakaako. Enjoy an egg hunt in the courtyard (limit 12 eggs per child), games, crafts and a visit to the Discovery Center. Cost: $15, $10 for members. Doggie Easter Egg Hunt: 2 to 6 p.m. April 9, Hawaii Doggie Bakery, 2961-C East Manoa Road. Activities for dogs include an egg hunt (suggested donation $10), games, pawprint station, photo booth and more. Proceeds benefit Hawaii Fi-Do. 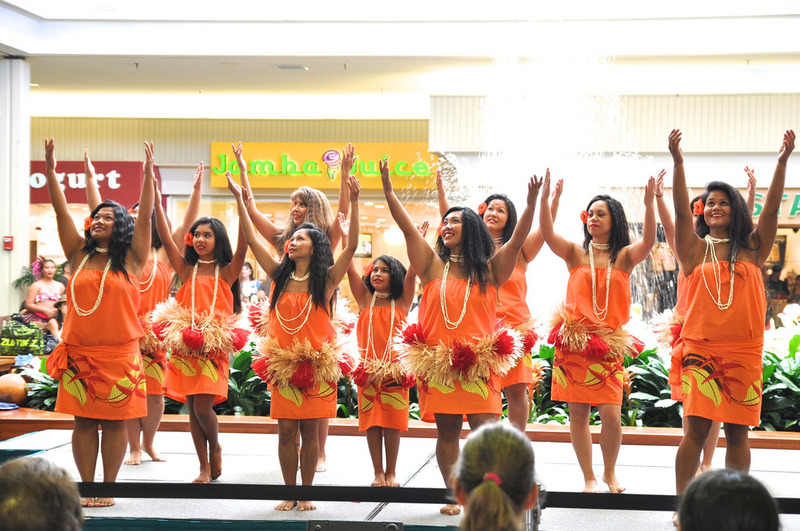 Hawaii Kai Towne Center Easter Festival: 3 to 6 p.m. April 15, 333 Keahole St. Features an egg hunt in the Marina Courtyard, petting zoo with bunnies and chicks, face painting, balloons, photos with the Easter Bunny and more. 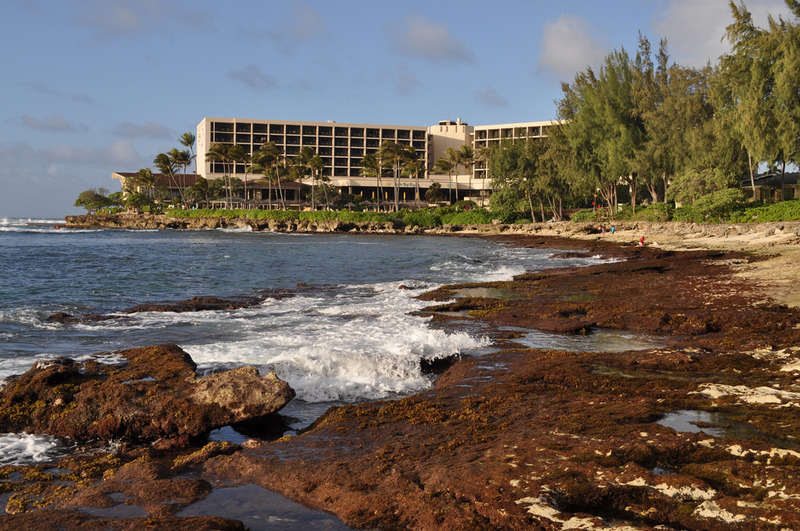 Visitors to Oahu's North Shore can head to Turtle Bay Resort for an egg hunt and Easter Brunch. Sunday Brunch with the Easter Bunny: April 16 at Turtle Bay Resort, with seatings at 11 a.m. and 2 p.m., Kuilima Ballroom. Easter activities at 1 p.m. include egg hunt and photo opportunities at Kuilima Point. Cost: $69 for adults, $35 for ages 4 to 11. Star of Honolulu’s Easter Champagne Brunch Cruise: April 16; departs at noon from Aloha Tower Marketplace, Pier 8. Family-friendly event includes egg hunt and prize giveaways for keiki and Hawaiian cultural activities. Cost: $69 for adults, $42 for ages 3 to 11; kamaaina and military rates available; ground transportation available for extra cost. You’ll also want to check with you Hawaii hotel to find out if it might be hosting an Easter event on-site. If you plan to spend Easter on Oahu, you won’t regret finding the right photo-op and Easter Egg Hunt for you and your family. So, hop on over to one or more of these Easter events, and enjoy the holiday in paradise!